On October 10, 2017, local 3rd-grade students from Carlsbad, NM attended the Carlsbad Soil and Water Conservation District's Fall Children's Water Festival. During this event U.S. Geological Survey staff used EarthEcho Water Challenge Test Kits to discuss and test basic water quality parameters of the Pecos River. The students learned about temperature, pH, turbidity, and dissolved oxygen. This hands-on activity engaged the students and reinforced new concepts. At the end of the each presentation the students complied their results in graphs, and then discussed the health of the river for aquatic life. 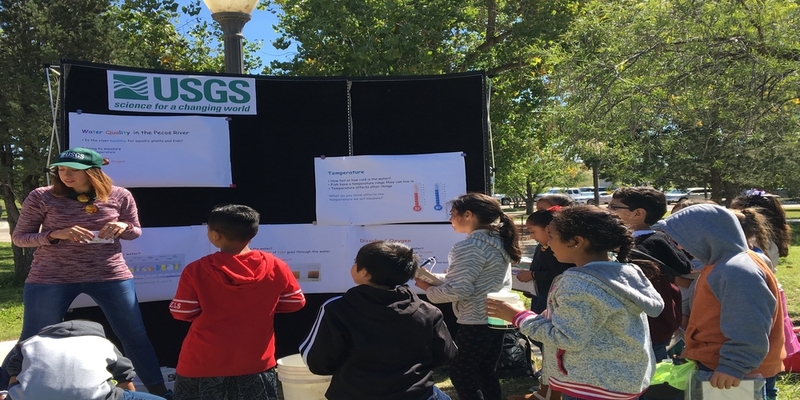 Thanks to the U.S. Geological Survey New Mexico Water Science Center staff for their work to inspire young water scientists through the EarthEcho Water Challenge!